Your body is remarkably intelligent and incredibly hard working. Day in and day out, it processes all kinds of inputs—distinguishing what’s good for you from what’s not, doing its best to eliminate any harmful substances alongside routine metabolic waste. But these days, our bodies are inundated with a never-ending barrage of stressors: environmental toxins, processed foods, unresolved emotions, and psychological stress, to name a few. Inevitably, in attempting to “digest” it all, we accumulate some degree of toxicity—which, over time, can build up in the system, deposit in the tissues, and compromise our health. But there is something you can do to give your body a break. Actually, this is precisely the idea behind an Ayurvedic cleanse: to minimize the variety and complexity of inputs (and potential toxins) so that the body can rest, recuperate, and repair itself. And amazingly, when the deluge of damaging inputs slows, your body will immediately take advantage of the lull to do some very deep cleaning. The practice of cleansing is considered a vital part of an Ayurvedic lifestyle, with great potential for improved energy, strength, and immunity, as well as a renewed love of life. At its root, an Ayurvedic cleanse improves the strength of agni (the metabolic fire) in the GI tract and throughout the body by resting and purifying the digestive system. Ayurveda sees balanced agni as one of the most important requirements in achieving optimal health. Tending to agni with a cleanse offers a potent antidote to any imbalances that might be active in your system. If the concept of agni is new to you, you might appreciate reading The Importance of Healthy Digestion: An Ayurvedic Guide to Understanding Agni, which offers a more thorough introduction. Restores a sense of calm to the mind and the nervous system. Fosters both clarity and groundedness in the mental, spiritual, and emotional spheres. Nurtures an improved sense of energy, vitality, and enthusiasm for life. Supports the maintenance of a healthy body weight. Helps to restore and maintain balanced sleep cycles. Promotes regular and balanced elimination. Helps to recover each individual’s natural state of balance. Prepares the tissues for deep nourishment and rejuvenation. Ultimately, an Ayurvedic cleanse is focused on drawing toxins and excess vata, pitta, and kapha out of the tissues and into the digestive tract so that they can be eliminated. The cleanse itself may not be entirely pleasant; as these impurities are stirred into circulation to be eliminated, they can become more palpable for a short time. However, if a cleanse is undertaken correctly, the end result should be an improved sense of balance and overall health. Below, you will find everything you need to implement a simple, food-based cleanse at any time of year. However, even a gentle cleanse like this one is not appropriate for pregnant or breastfeeding women, or for anyone who is extremely weak or debilitated. On the other hand, if you are considering becoming pregnant, Ayurveda highly recommends that both partners undertake a cleanse approximately three months prior to conception. A time to clean up your diet and lifestyle in preparation for an effective cleanse. A period of eating a monodiet of grains, kitchari (basmati rice cooked with split mung beans), vegetables, and plenty of detoxifying fluids; the process at this stage can be complemented by a number of supportive lifestyle practices. A time to slowly diversify the diet, gradually incorporating simple, whole foods (other than kitchari) and eventually re-introducing common allergens such as wheat, dairy, soy, and nightshades. This is the time to offer deep nourishment to the tissues and to promote rejuvenation throughout the system. This is really a separate endeavor from the cleanse itself, and while it is peripherally addressed below, you will find a more thorough set of resources for this phase of your process in our Rejuvenation Department. The length of your cleanse is entirely up to you, but please consider the time required to complete all of the different phases—affording each of them equal value and importance. In general, the longer your cleanse, the deeper your detox will be. A longer cleanse will also result in a more delicate digestive system for some time, requiring an increased dedication to the reintroduction phase of the cleanse. It is critically important that you choose a timeframe that feels very manageable to you. It is better to succeed at a shorter cleanse than to struggle through—or completely abandon—a longer one. You can always graduate to a longer cleanse in the future, when the procedure is more familiar to you. Below is a table outlining the structure for a three-day, nine-day, fifteen-day, and twenty-one-day cleanse—each based on dedicating an equal number of days to the preparation, active cleansing, and reintroduction phases of the cleanse. This phase structure is ideal because it allows the body to gracefully ease into cleansing mode and to gently transition back to your normal routine afterward. It is also very intuitive and can easily be adapted to any other length of time that feels appropriate to you (i.e. a cleanse based on two-day, four-day, six-day phase lengths). We would advise against doing phases longer than seven days without the guidance of a trained Ayurvedic practitioner. Please Note: If you are short on time and still want to do a lengthier active cleanse phase, it is possible to reduce the preparation and reintroduction phases by half (rounding up where necessary). For example, you might choose to do a seven-day active cleanse with four days of preparation and four days of reintroduction, for a total length of fifteen days. This style of cleanse—based on a monodiet—is much less provoking than many forms of cleansing and is generally safer for a diverse range of constitutions and imbalances. 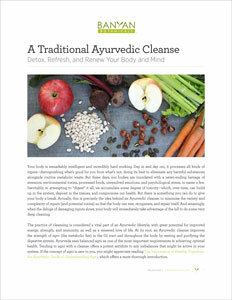 That said, an Ayurvedic cleanse tends to move long-standing imbalances into circulation so that they can be eliminated. This is how our bodies repair themselves when we afford them the opportunity. As a result, a cleanse can be exhausting, emotionally taxing, and physically uncomfortable. This cleanse is gentle and should not cause a great deal of discomfort. Nevertheless, it is better to be prepared for some ups and downs than to expect to feel fabulous throughout your cleanse. You should begin to experience the deeper benefits of the cleanse within a few days to a week after completing it, if not sooner. For women of childbearing age, the first menstrual cycle following a cleanse is an important part of the process, and can deliver a meaningful sense of completion to the cleanse. As a result, the fullest expression of positive change may not be experienced by these women until one or two menstrual cycles after the cleanse is complete. This is especially true of a longer fifteen- to twenty-one-day cleanse. This process can also stir up unresolved emotions so it is important to be prepared for some emotional cleansing. It is quite common to have unexpected and somewhat unexplainable emotions crop up during a cleanse. Ideally, we would simply witness these states as they arise, creating space to honor, move, and release our feelings in a healthy way. The emotional aspects of a cleanse can make it especially important to enlist a loving support team for your cleansing process. While this cleanse is workable at any time of year, it will be especially beneficial at the junction between seasons, when our bodies are already ripe with a sense of transition. In particular, the periods surrounding the fall and spring equinoxes are especially supportive of cleansing. The more completely you can clear your schedule for the entirety of your cleanse, the better. It is also important to minimize your exposure to stress for the duration of your cleanse. At a minimum, focus on making the days of active cleansing as obligation-free as possible. The best way to do this is to schedule active cleansing during a time when you can be a bit of a hermit and stay home most days. Preferably, you would not be working during the active cleansing phase at all, but if that is unrealistic for you, we recommend scheduling the first days of active cleansing over your weekend so that you can get familiar with the routine before you are juggling active cleansing and work obligations together. In general, eliminate any unnecessary obligations. Ideally, you would give yourself as much unstructured time to rest as possible for the entire length of your cleanse, but this is especially critical during the days of active cleansing. A menstruating woman should schedule her cleanse around her cycle to ensure that she is not bleeding during the active cleansing phase. If her period comes unexpectedly, she can continue on the kitchari diet, but should suspend all other practices (abhyanga, nasya, triphala, etc.) until her menstruation is complete. Once you have found a timeframe that feels like it will work with your time off and your unavoidable responsibilities, put your cleanse on the calendar, noting which days correspond with each phase of the cleanse. Next, come up with a plan to acquire as many of the necessary supplies as possible in advance of your start date (see our recipes and shopping lists at the end of the article). Once you are cleansing, it is best not to be running around gathering supplies; instead, you will want to focus your energy on the process of detoxification and renewal. This phase is all about cleaning up your diet and lifestyle in order to prepare for an effective cleanse. During the preparation days, you will want to eliminate (or at least dramatically reduce) your use of coffee, caffeine, tobacco products, alcohol, and any recreational drugs. At the same time, you will be reducing your intake of fast foods, processed foods, meat, refined sugars, and sweets. Focus instead on eating as many simple, whole foods as possible (fruits, vegetables, whole grains, legumes, nuts, and seeds). This will set the stage for a more productive and beneficial cleanse, and will help your body ease into detox mode. This is the heart of the cleanse. During this time, you will be eating a monodiet of very simple, cleansing foods such as kitchari. The diet is substantive enough that you can maintain your essential responsibilities, but it simultaneously resets the digestive system, supports the elimination of toxins, and balances vata, pitta, and kapha. During this phase of the cleanse, practices such as abhyanga (Ayurvedic self-massage with oil), gentle exercise, yoga, pranayama (yogic breathing practices), and taking supportive herbs can enhance the impact of the cleanse. Freshly prepared foods are best, so you’ll want to cook your oatmeal and kitchari fresh each day—at whatever time works best with your schedule. While you’ll want to avoid eating leftovers from previous days during this phase of the cleanse (and all throughout, if you can manage), it is acceptable to prepare all of your food for the day first thing in the morning. Garnishes such as cilantro chutney and sesame seed chutney can usually be kept for several days without issue. It is not uncommon to experience mild constipation during this phase of the cleanse. If your bowel movements slow in frequency or volume, or if your stools become more difficult to pass, please see our resource on how to remedy Constipation During a Cleanse. Healthy elimination is critical to the detoxification process, so it is best to be proactive about relieving any discomfort as soon as you are aware of it. Keep your activities as quiet and mindful as possible. Surround yourself with things that you find uplifting and nourishing. Minimize stress and exposure to frantic or disturbing environments. If intense emotions arise during or after your cleanse, greet your emotions with compassion, observe them with detached awareness, and allow them simply to move through—honoring yourself in the process. REST as much as possible. You can ensure that the bulk of your energy is devoted to cleansing by minimizing the number of resources that your body allocates elsewhere. Rise early so that you can complete your morning routine before breakfast. Upon waking, scrape your tongue and brush your teeth. Optional: administer warm Nasya Oil (three to five drops in each nostril). This practice is especially supportive of the mind, the eyes, and helps to balance tension carried in the shoulders and the neck. If this is a new practice for you, please see our helpful instructional video. Sip 8–16 ounces of hot water to cleanse the system and to awaken the digestive capacity. This practice helps to loosen and move toxins stored in the tissues toward the digestive tract so that they can be eliminated. Recommended oils include Organic Sesame Oil, Organic Sunflower Oil, and dosha-specific herbal oils: Vata, Pitta, and Kapha Massage Oils. Which oil is right for you will depend on your constitution and current state of balance (if you do not know yours, take our Ayurvedic Profile™ quiz), and the season. For maximum benefit, let the oil soak in for about twenty minutes. If you have access to a steam room or sauna, let your oil soak in as you sit just long enough to break a sweat. Otherwise, you can warm your bathroom with a space heater and create a little steam with hot water from the shower. It is important not to get chilled. Take a bath or shower, using soap only where needed (ideally, not all over the body). Take care not to slip on oily surfaces; consider washing your feet first. Excess oil will rinse off with water. If you do not need to go out, it is fine to leave some oil in your hair. Otherwise, you may need to shampoo more than once to remove all of the oil. You can also try applying shampoo to your dry hair (before you wet it), lather, then rinse. For many, this method cuts the oil more effectively. Use a designated towel to pat dry (this towel will become oily over time). Slow, gentle movements will support cleansing; more than that can be counterproductive. This is not a time to push yourself. Consider walking, tai chi, qigong, or a grounding yoga practice such as vata-pacifying yoga (which is gentle enough for a cleanse). Eat Kitchari throughout the day, as desired, allowing at least three hours between meals and aiming to have a total of three meals per day. Again, eat enough to feel satisfied but do not overeat. You can garnish your kitchari with Fresh Coriander Chutney or Sesame Seed Chutney. It is best to avoid snacking, but if you need a little something extra, you can enjoy some fresh fruit, a few raw nuts, or a couple of slices of avocado. It is very important not to feel deprived during your cleanse. Be sure to eat enough food and enough variety that you truly feel satisfied and at peace with the process. If the monodiet is causing a sense of deprivation, do not eat kitchari for breakfast. Have Simple Oatmeal instead. You can also vary the vegetables that you use in your kitchari from day to day. If you are still struggling, try steaming your vegetables and serve them as a separate side dish, garnished with a little melted ghee, a squeeze of lemon juice, and a pinch of salt. Or, have a side of ½ avocado with a sprinkle of salt and lemon juice. Try not to eat anything after 7 p.m. Drink at least 8–12 cups of room temperature, warm, or hot fluids each day to ensure adequate hydration and to help flush toxins as they are released. Ideally, most of your fluids should be taken between meals. Appropriate fluids include water, CCF Tea, Rehydration Tea, and detox teas: drink as much of any of these as you like. About a half hour before bed, steep ½ teaspoon Triphala powder in a cup of freshly boiled water for ten minutes. Cool and drink. Or, take two Triphala tablets with a glass of warm water. Retire for the Night by 10 p.m.
Sleep is the body’s best time to detox so be sure to get plenty of rest throughout the cleanse. After you complete the active cleansing phase, your body will still be processing the toxins that were stirred into circulation. And your digestive system will have become accustomed to a very clean diet and will be somewhat sensitive to overly stimulating or processed foods. Therefore, a slow transition back into your normal routine and a more diverse diet is critically important. Eat primarily simple, whole foods, diversifying your menu very gradually. The more committed you can be to maintaining a diet of simple, whole foods, the stronger your agni will be after your cleanse. This is also the time to test the waters with foods that are potentially aggravating like dairy, wheat, soy, and nightshades—ideally, reintroducing these foods one at a time and giving yourself up to twenty-four hours to observe how your body responds to each of them. Maintaining a very simple diet through this phase of the cleanse buffers your system, strengthens agni, and prepares your digestive system to successfully receive more complex foods after the cleanse is complete. But the truth is that, it is often easier to maintain a highly structured monodiet than to stick to eating a more diverse range of very simple, whole foods after completing the monodiet. For many, this is actually the most challenging phase of the entire cleanse. It can feel like we’ve come through the hard part, and after days of kitchari, we are often craving some substance and stimulation in our diets. Therefore, it is extremely important to mentally prepare for this phase. Think of it as an essential part of—rather than a gradual transition out of—the cleanse. You may also find it helpful to plan a menu for this phase in advance. Choose meals that you will find delicious and exciting so that you are not tempted to dive right into overly complex and difficult to digest foods. This is not the time to celebrate with a pizza and a beer! Remember, the longer your cleanse, the more time your body will need to diversify your diet and strengthen agni. Go slowly and your agni will emerge from the cleanse much stronger—which means better sustained health moving forward. It is important to follow any significant cleanse with a period of rejuvenation. Now that you’ve cleared your body of accumulated toxins and imbalances, your tissues are primed to receive very deep nourishment. Rejuvenating foods and practices are usually sweet and comforting, and most people find this phase of the process quite enjoyable. You can find everything you need to know about Ayurvedic rejuvenation in our Rejuvenation Department. Toward the end of the cleanse, take some time to reflect on your life so that you can move forward with whatever new intentions feel important to you at this time. One of the greatest gifts you can give yourself as you wrap up your cleanse is to honor the effort you’ve made by slowly and gently easing back into a more diverse diet and a more typical routine. Even after you’ve moved through a defined period of reintroduction, understand that it may take some time—two weeks, a month, or longer—before you are able to fully appreciate the benefits of your cleanse. This is completely normal because the body is often still working to eliminate the toxins released during the cleanse. This is a wonderful time to cultivate deeper inner awareness and to listen to your body. You can further support optimal health by maintaining a healthy diet and lifestyle, even after the cleanse is over. Remember that your food will absorb the energy of your mindset and state of being while you are cooking. You can assist your healing process by bringing good intentions and a sense of presence to your kitchen. Kitchari is traditionally eaten three times a day during an Ayurvedic cleanse, but this simple oatmeal recipe is a good alternative, if preparing kitchari before breakfast is not realistic for you. This recipe can also provide a helpful break from the kitchari monodiet—which is especially important if you tend to tire of similar foods easily. While fruit and grains are typically considered a poor food combination, oats are a particularly light grain and are generally quite digestible. The taste profile of oats also has a lot in common with these particular fruits, which makes them more compatible. In addition, when fruits and oats are cooked together, their more diverse qualities are able to mingle in a way that further improves their digestibility. Combine the raisins, cut fruit, 1 cup water, and any desired spices in a small saucepan and bring to a boil on medium-high heat. Reduce heat and simmer for ten to fifteen minutes, or until the fruit is tender and well-cooked (apples may take a tad longer). Add the oats, the remaining ½ cup of water, stir, and return to a boil. When the mixture boils, stir thoroughly, remove from heat, cover, and let stand for five to ten minutes, until the oats are soft and the water is absorbed. Cool and serve. For vata, favor apricots and peaches. For pitta, favor apples and pears. For kapha, any of the fruit is fine. If you are primarily focused on balancing kapha, you may also want to try this delicious kapha-pacifying modification: simply combine a couple of varieties of cut fruit, omit the oats and the second batch of water, follow the rest of the recipe as it is, and enjoy a breakfast of stewed fruit. For vata, kapha, and cooler seasons, the optional spices offer a tasty addition of warmth to this dish. If there is pitta imbalance, favor cinnamon and cardamom, and consider reducing the quantity. For severe pitta imbalance (or if the season is hot) consider foregoing the spices altogether. The oatmeal with cooked fruit is surprisingly tasty on its own. Kitchari is a stew type meal that is prepared from basmati rice and split mung dal. During a cleanse, appropriate vegetables provide texture, flavor, and an important source of fiber. Kitchari is very easy to digest, which makes it a wonderful food for any cleansing regimen.  It allows the digestive system to rest, allocating extra energy to the body’s natural detoxification processes. The quantities in this recipe provide a good starting point for a day’s supply of kitchari, but as you learn your preferences and habits, you are welcome to adjust the quantities to better fit your needs. Soak the split mung dal overnight (or for at least four hours). Strain the soaking water, combine with the rice and rinse the mixture at least twice, or until the water runs clear, and set aside. In a medium saucepan or soup pot, warm the ghee over medium heat. Add the black mustard seeds, cumin seeds and sauté for a couple of minutes, until the mustard seeds begin to pop. Add the turmeric, coriander, fennel, hing, and fresh ginger. Stir briefly, until aromatic. Stir the rice and dal mixture into the spices and sauté for a few moments, stirring constantly. Add the 6 cups of water, turn heat to high, and bring to a boil. When the soup comes to a boil, stir in the salt, reduce heat, cover, and simmer for about forty minutes. Meanwhile, cut your vegetables into small, bite-sized pieces. About halfway through the kitchari’s cooking process, stir in the vegetables and allow the stew to return to a boil. Continue to simmer until the rice, dal, and vegetables are fully cooked. Remove from heat, cool, and serve. Note: some vegetables, such as sweet potatoes, might require more cooking time and may be added earlier, if necessary. Aim to have very little water remaining when finished. The consistency should be that of a vegetable stew as opposed to a broth. While you want the beans, rice, and vegetables to be thoroughly cooked, excess water and over-stirring can cause the ingredients to become thick and gummy. Garnish the kitchari with your choice of fresh cilantro, coriander chutney, and sesame chutney. Enjoy! This tridoshic recipe from The Ayurvedic Cookbook by Amadea Morningstar is very tasty and is especially useful for reducing excess pitta. Blend the lemon juice, water and fresh coriander until the coriander is chopped. Add the remaining ingredients and blend until it is like a paste. Use sparingly. This chutney can be stored in a covered container in the refrigerator for up to one week. For a silkier texture, use only the leaves and the tops of the fresh coriander stalks. This tridoshic recipe from Ayurvedic Cooking for Self-Healing by Usha and Vasant Lad, is especially good for people with vata and kapha imbalance. Reduce cayenne pepper to ¼ teaspoon if there is any pitta imbalance. Blend ingredients together and garnish kitchari with about 1 teaspoon of the mixture. In a small pot, combine 1 tablespoon CCF Tea or 1 teaspoon each cumin, coriander, and fennel seeds with 3 cups of water. Bring to a boil, then reduce heat and let the tea simmer for 5 minutes. Remove from heat, strain, and serve! For a stronger brew, boil the tea for 10 minutes. Store the tea in a jar or in the refrigerator, but do not drink it cooler than room temperature. Boil water. Remove from heat and add herbs, salt, and lime. Steep ten minutes, strain, add turbinado, and drink warm or at room temperature. Amounts recommended are approximate and may need to be adjusted according to your needs. For vata imbalances or vata season, use Organic Sesame Oil or Vata Massage Oil and plan to use more oil. For pitta imbalances or pitta season: Organic Sunflower Oil or Pitta Massage Oil and plan to use a moderate amount of oil. For kapha imbalances or kapha season: Organic Sesame Oil or Kapha Massage Oil and plan to use less oil. Optional: Vata Digest, Pitta Digest, or Kapha Digest tablets can be taken after meals to improve agni (two to three tablets per day of active cleansing). More versatile than the Kitchari Kit—convenient and customizable! For more information on Ayurvedic Cleansing, click here to return to our Cleansing Department. To explore the Ayurvedic practice of rasayana (rejuvenation), click here. For more information on agni and why it is so critical to our overall health, you may enjoy our piece on The Importance of Healthy Digestion. For more on ama (a toxic substance that interferes with our well-being), and why it is so detrimental, please see our article on Ama: the Antithesis of Agni. Abhyanga is the anointing of the body with oil. Often infused with herbs and usually warm, the oil is massaged into the entire body before bathing. Abhyanga can be incorporated into a routine appropriate for almost everyone.